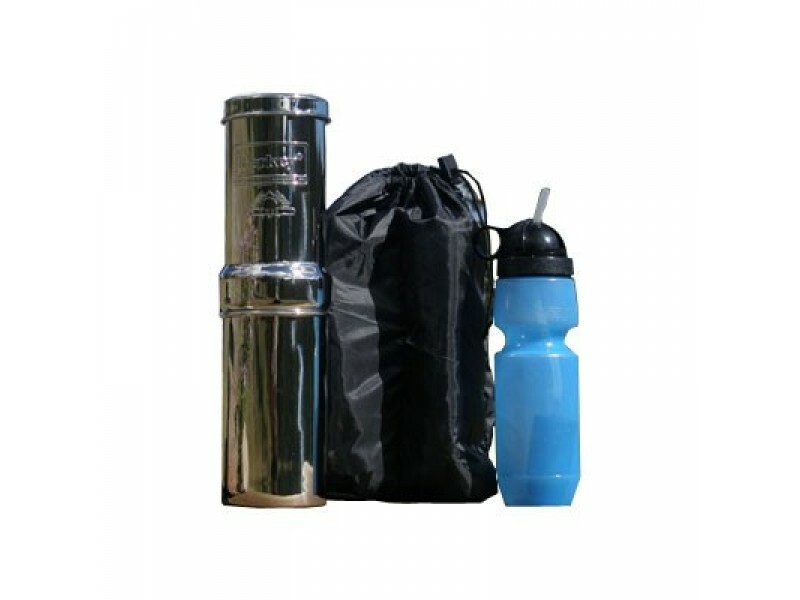 The Go Berkey Kit is ideal for anytime you need a compact water purifier; perfect for camping, hiking, emergencies, offices, and college students. This Go Berkey Kit delivers all the water purifying that the larger Berkey systems do but with extra portability in mind. The Kit is small enough and light enough that you can easily throw it in a backpack and take it with you anywhere you go. It’s simple to set up and within minutes your Go Berkey Kit will start producing safe, clean, purified drinking water. Get the Go Berkey Kit to remove any viruses, pathogenic bacteria, cysts and parasites. Use it to extract harmful chemicals such as pesticides, herbicides, organic solvents, VOC's, trihalomethanes, and radon 222. 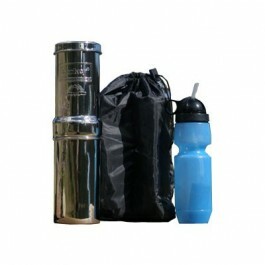 The Go Berkey Kit is ideal for anytime you need a compact water purifier; perfect for camping, hiking, emergencies, offices, and college students. This Go Berkey Kit delivers all the water purifying that the larger Berkey systems do but with extra portability in mind. The Kit is small enough and light enough that you can easily throw it in a backpack and take it with you anywhere you go. It’s simple to set up and within minutes your Go Berkey Kit will start producing safe, clean, purified drinking water. Get the Go Berkey Kit to remove any viruses, pathogenic bacteria, cysts and parasites. Use it to extract harmful chemicals such as pesticides, herbicides, organic solvents, VOC's, trihalomethanes, and radon 222. In addition it reduces nitrates, nitrites and any unhealthy minerals like lead and mercury. This system is also engineered to remove all the harmful elements from water without eliminating the minerals your body needs. No other system is able to replicate the light, compact performance of the Go Berkey Kit; and the taste of the water is unbelievable! . Please Note: Due to the outdoor use of this system, the Berkey PF-2 Post Reduction element is typically not necessary, nor do they fit within the Go Berkey system.